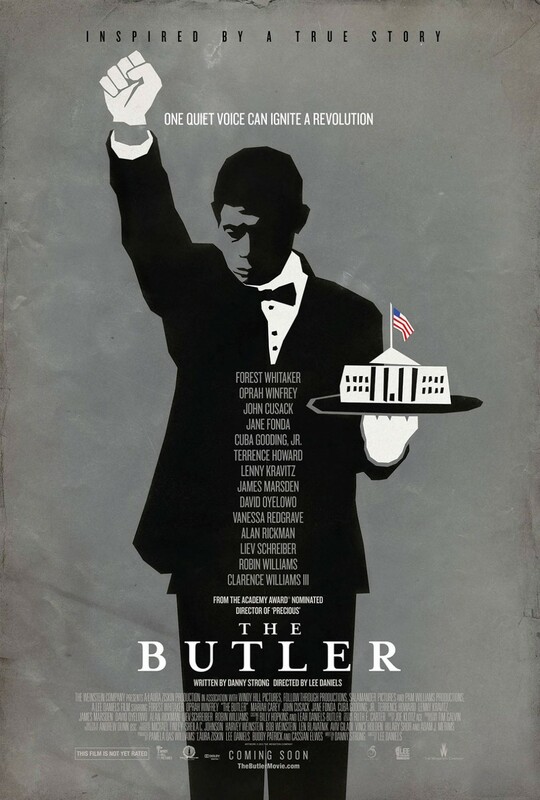 LEE DANIELS’ THE BUTLER tells the story of a White House butler who served eight American presidents over three decades. The film traces the dramatic changes that swept American society during this time, from the civil rights movement to Vietnam and beyond, and how those changes affected this man’s life and family. responsibility to family and community. 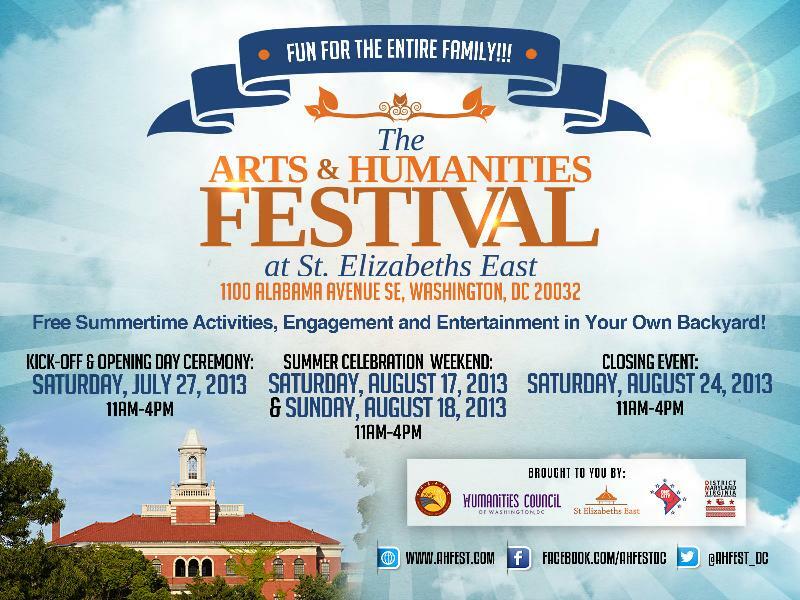 Come out and enjoy day two of The Arts & Humanities Festival at St. Elizabeth’s East! More great programs, performances, activities and more for a now fuller, extended day! Tasty free food served from 2-5pm, and t-shirt giveaways for the first 150 guests. 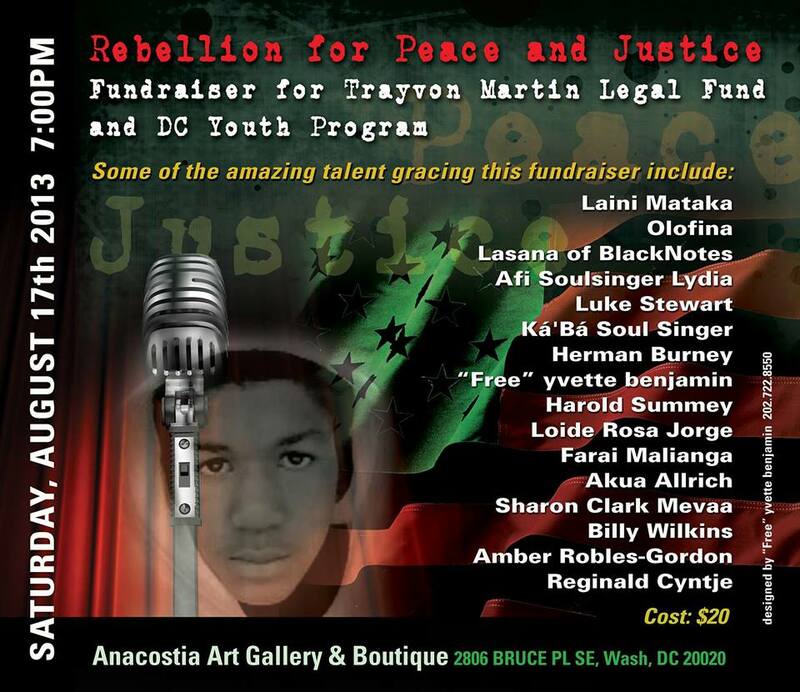 Special appearances by go-go band, Faycez U Know, harpist, Rashida “Tulani” Jolley, Aisha Striggles of Double Nickles Theatre and spoken-word sensation, Liberated Muse! One Love=True Change ~The Movement to Reclaim our Village~ is back with our monthly festival! 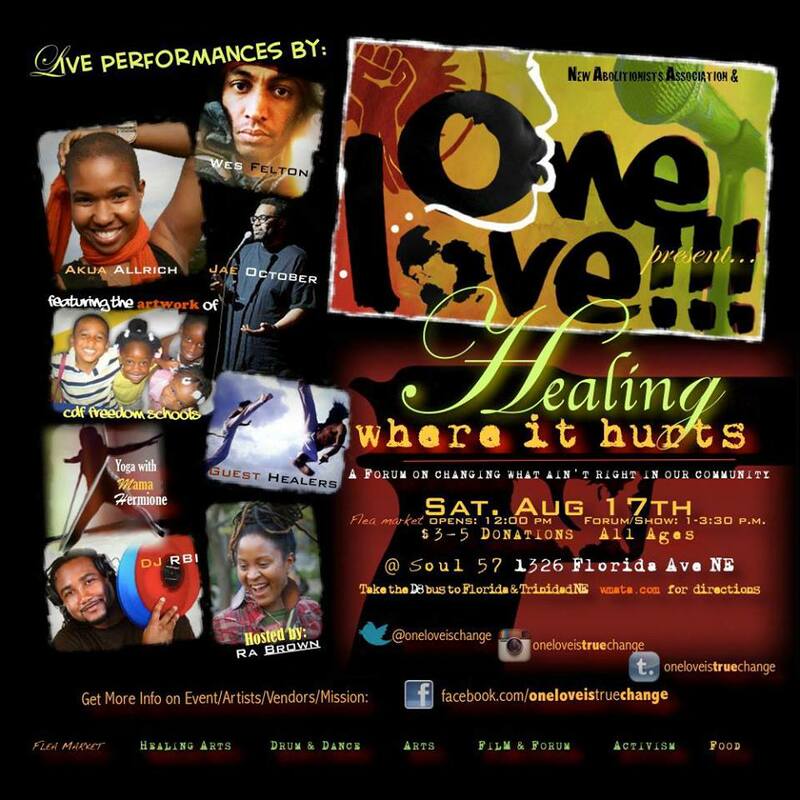 One Love August features the legendary Wes Felton, Akua Allrich,DJ RBI, Jae October, and featuring the art works of Freedom School Scholars all over the country, and the Healing Arts of Mama Hermione Rhones. Not to mention our talented vendors and food provided by Velvet’s Vegan Cousine. 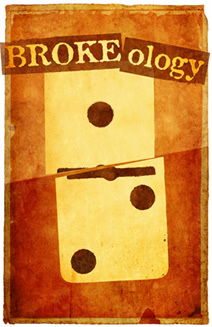 & Hosted by none other than the Great Raquel Ra Brown. Join us as we host in collaboration with the African Diaspora International Film Festival, the Parallel Film Collective and Lesole’s Dance Project, the African Cypher. 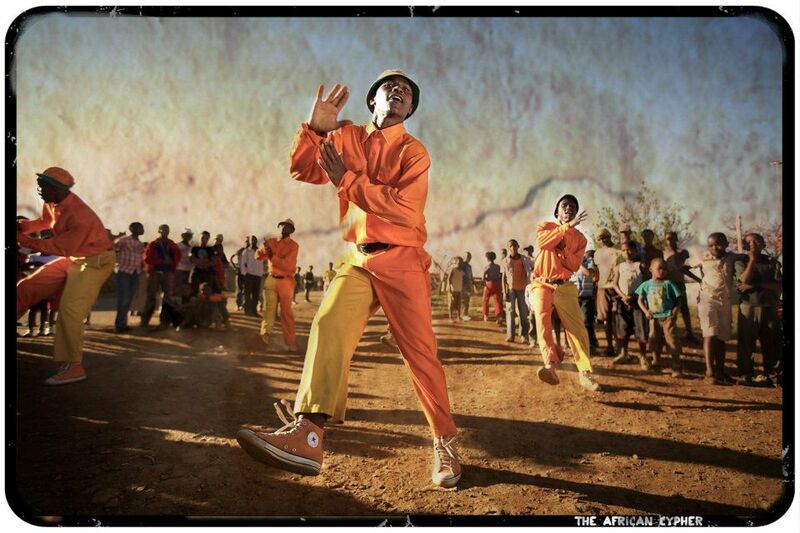 Part ethnographic, the film charts the journeys of several street-dance-crews in the townships of South Africa as they prepare for the Red Bull Beat Battle. What emerges from the different narrative strands is a complex and redemptive story of how urban youth from the country’s poorest neighborhoods are able to transcend the harshness of their circumstances through dance. 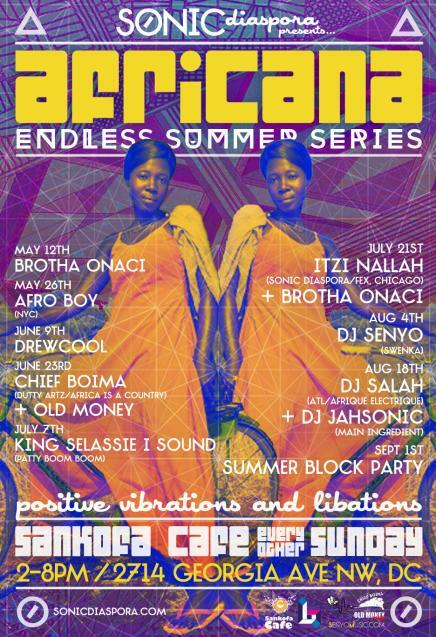 Turn the heat up and add some flavor to your summer with Sonic Diaspora presents Africana Endless Summer Series. Featuring DJ Salah Ananse (ATL/Afrique Electrique) + DJ JahSonic (Main Ingredient). Attention all sambistas and percussionist of DMV you are invited by Zezeh Brazil & Roberto Berimbau to join them at Tropicalia. 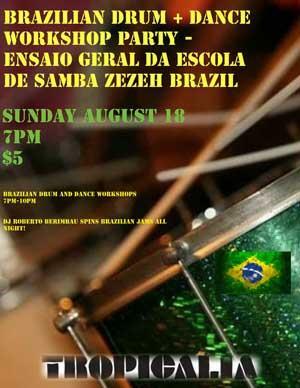 Zezeh will teach dancers how to samba and Roberto will teach drummers how to play samba it will be a blast.